The word 'legend', like the word 'hero', is much over-used these days. We're all guilty of it, fans talking amongst themselves, PR folk and advertisers hyping up their pitch, and the press and broadcasters seeking an easy emotional method of colouring their reports and generating a reaction. Using such evocative words is an easy way of describing someone or something extraordinary that immediately strikes a chord or a reminiscence amongst those who read it or hear it. Unfortunately the over-use of such descriptions weakens their impact over time and we'll soon need to find new words to stir those emotions. 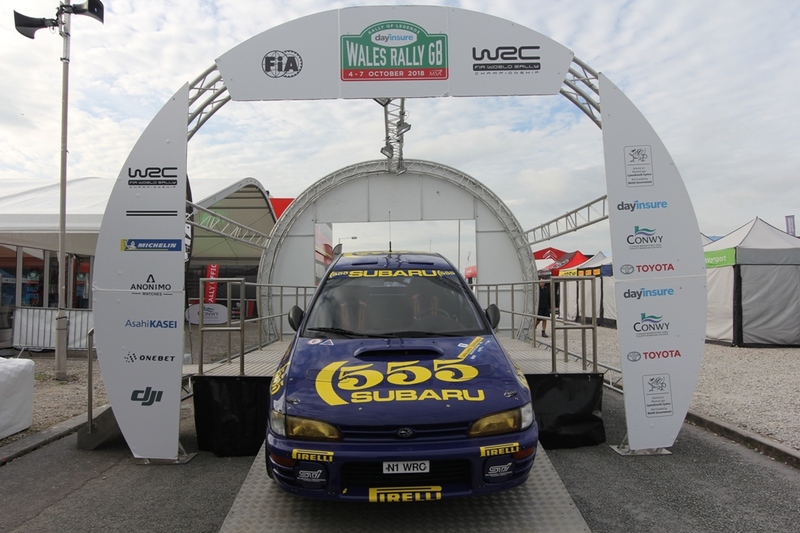 This year's Rally of Legends commemorated two men who were at Wales Rally GB throughout the four days. Both performed an excellent ambassadorial job with Nicky Grist in particular running about getting involved and mixing with the public - but 'legend'? I'm not so sure. 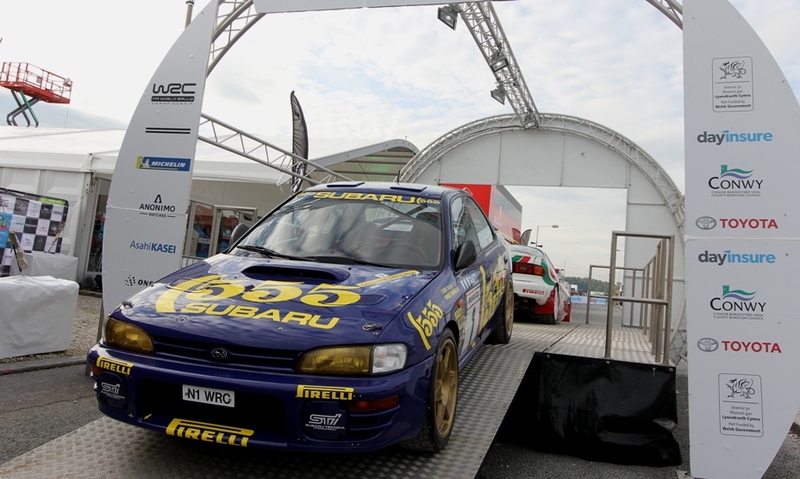 As for Juha Kankkunen, he was the first driver to win four world rally titles. Does that make him a legend? In 2011 he set a world speed record. Not just any speed record. He did it on ice. Driving a 6 litre AWD Bentley he created a new world speed record of 205.48 mph - on ice. It took almost 5 kms to get to 200 mph and then just ease the 600+ bhp monster past the magic 'two ton' marker beating his own previous record of just under 200 mph. Of course he was using winter tyres, but still driving at that speed on ice required nerves of steel. And all he had for comfort was a rear mounted parachute should things go wrong. Does that make him a hero? 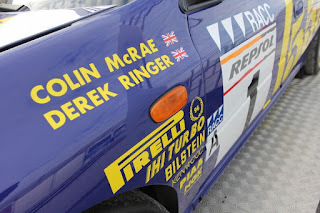 I was reminded of this constant inappropriate use of words, not by anything someone else had written or broadcast, but by four simple words painted on the wing of a car. It was early morning, the concessions were closed and there were very few folk about. The place was quiet. The car was parked facing down the ramp in the Deeside Service Park. Painted in yellow on a blue background, the four words spelled out two names. Just seeing that set the hairs on the back of my neck tingle and it conjured up mental flashbacks of images and memories of pithy sayings. Images and memories that really don't need any words or adjectives to describe them.